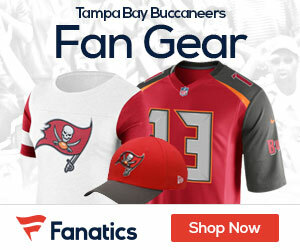 Who Should Bucs Fans Fear Most At #1? I’m a firm believer in you have to beat the best to be the best. I personally want the best players possible on my favorite team, the Ravens, and welcome playing against the hardest teams. Most coaches and players likely agree with that sentiment. 1. Von Miller, OLB, Texas A&M. Von Miller is considered one of the best physical specimens in the draft and one of the more infectious personalities on and off the field. The Panthers already have a ton of talent and character in their star-studded linebacking corps, including James Anderson, Jon Beason and Dan Connor. The Panthers could possibly switch Miller to defensive end since Charles Johnson and his 11.5 sacks might be leaving in free agency and/or they could show 3-4 looks more often. Miller played through injuries to get 13 sacks and 68 tackles, after 17 sacks the year before. He also ran a jaw-dropping 4.46 40 at the Combine. 2. 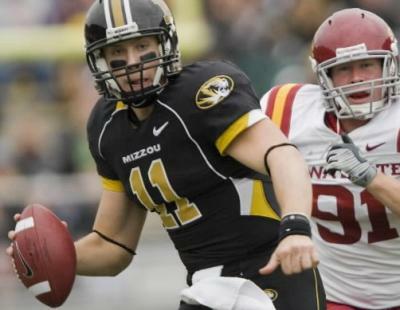 Blaine Gabbert, QB, Missouri. Two losses to the Panthers would likely be a huge obstacle to a Tampa Bay playoff run. The savior the Panthers may be looking for is Blaine Gabbert and any rookie quarterback will have more of an impact on each game that he plays than a rookie of a different position. Gabbert seems like he could start day one but the Panthers will need to bring Steve Smith back and add one more wide receiver in the draft to give him the adequate support to be dangerous. I have a hunch that the Bills will take him if they don’t but I’m not nearly as high on Gabbert as I am Luck and maybe even Keenum next year. 3. Patrick Peterson, CB, LSU. Mike Williams has had fun playing within the division. A physical, talented corner like Peterson who possesses every skill would be a challenge for Tampa Bay in general. Peterson honestly is the pick I would make if I were Ron Rivera. Usher in a new era of playmaking. His San Diego defense got a lot of sacks last year and his Chicago defenses made lots of turnovers (some of that was Lovie’s influence). All in all, the Bucs will enter 2011 with the most young talent in the division, bar none. The Saints have been getting younger in the secondary and with some of their offensive weapons (Ivory, Graham, Meachum getting a bigger role) but it’s not even close.